How To Get Out Of A Timeshare: Ditch Your Timeshare For Good! If you find that you own a timeshare that you no longer want, it is time to do a timeshare cancellation with our timeshare exit team and figure out how to get out of a timeshare for good! Our timeshare exit team has the experience and knowledge to help you cancel a timeshare and be done with it for good. It is easy to buy a timeshare. In fact, the timeshare industry is notorious for having many ways and methods to entice consumers. The first way they get you to buy a timeshare is by offering you a free two-night stay at a local resort. They will tell you it is absolutely free, not resort fees. They may even offer you a spa treatment, free round of golf, or vouchers for dinner or drinks. It sounds like a great deal, right? The only catch, you will need to listen to a short presentation on a vacation club opportunity. A vacation club sounds exotic so many, many people agree. Once you’re there, the presentation will usually take up the larger part of an entire day. The timeshare industry employs skilled salespeople who know how to appeal to your emotions. They will make a timeshare seem like a once in a lifetime opportunity. They aren’t selling a product; they are selling a lifestyle. One filled with luxury and relaxation. They will also offer you gifts. Lots of freebies for signing up. A free vacation in Las Vegas, a set of golf clubs, a sunset cruise. You name it; they offer it to close the deal. Depending on the state you live in, they may even offer free drinks during the presentation to help lower your inhibitions and get you to commit to saying yes. This leads to many people ending up needing to know how to get out of a timeshare and searching for a timeshare cancellation. Even if you aren’t sold on the initial presentation, they are prepared for that. Usually, they will offer you another free vacation somewhere more exotic in exchange for listening to a second presentation. At this point, according to our timeshare exit team reviews, most people will end up saying yes. Buying a timeshare may seem like a once in a lifetime opportunity, but as many customers who have used our timeshare exit team know, it can quickly turn into a huge hassle and waste of money. What may have seemed like a dream when you purchased it, can turn into a nightmare. Increasing maintenance fees and the inability to use your timeshare for a vacation that you actually want can lead you to spend money every single year on something you don’t use. For some families, increasing maintenance costs and the inability to spend points on a destination they actually want to vacation at, leads to them foregoing vacations altogether. Or using their points to go a ski resort in August or to a run-down hotel in Tijuana. This is not anyone’s ideal vacation and spending them this way has led may families to wonder how to get out of a timeshare and take back their vacation. Since vacation is such an important part of life, our timeshare exit team doesn’t want to see anyone send it in a way that is not relaxing. Vacation is a time to relax, rejuvenate, and build lasting memories. The last thing you want is for your children to remember them being a time of stress and strife. Here at Timeshare Cancel Center we know how to get out of a timeshare, and we can write a resort authorized timeshare cancellation letter. We can help you cancel your timeshare legally and with no impact on your credit. You may have been told that the only way out of a timeshare is to sell or donate. This is simply untrue. 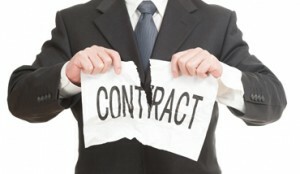 Our timeshare exit team reviews timeshare contracts and knows how to cancel a timeshare. We are so confident in our services that we stand behind them one hundred percent. We offer a money back guarantee for all of our services. We can cancel your timeshare. Call our office today.